Earlier this year, I was asked to contribute DOLLS‘ music to the soundtrack for Oh Lucy a short film starring two-time Japanese Academy Award “Best Actress” and LEGENDARY artist Momoi Kaori. Here’s the film in The Hollywood Reporter’s lineup of shorts officially screening in this year’s Cannes Film Festival…. 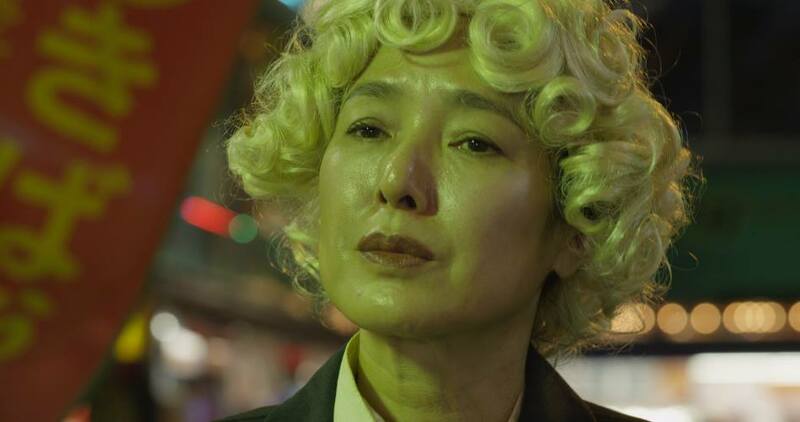 which I’m proud to report includes director Atsuko Hirayanagi’s “Oh Lucy!” – and where the film will have its world premiere. The trailer will be available shortly, but for now, go click ‘like’ on the Oh Lucy! Facebook page and show it some love – trust me, you will want to see this film! More news to come soon; so proud to be a small part of Team Oh Lucy! 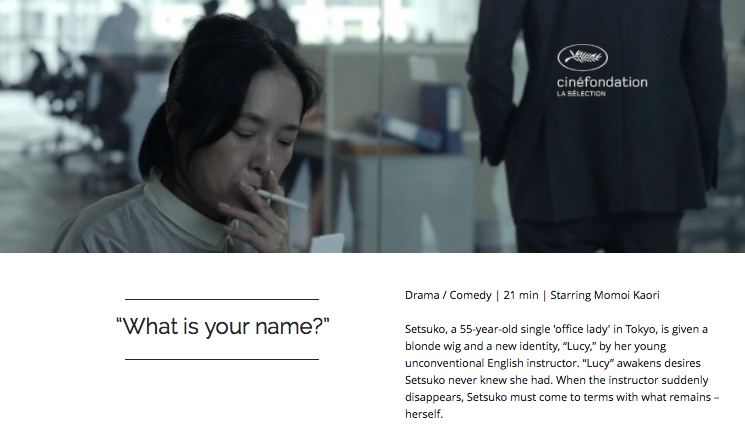 This entry was posted in Press and tagged 67th Cannes International Film Festival - Cinéfondation Selection (World Premier), a 55-year-old single 'office lady' in Tokyo, Asia with an MFA in Film Production, Atsuko Hirayanagi was born in Nagano and raised in Chiba, “Lucy, “Mō Ikkai”, “Oh Lucy!”, “Oh Lucy!” Festivals / Awards 67th Cannes International Film Festival - Cinéfondation Selection (World Premier) First Run Film Festival (NYU Tisch Asia) - 1st prize Wasserman Award NYU Tisch Asia, ” by her young unconventional English instructor. “Lucy” awakens desires Setsuko never knew she had. When the instructor suddenly disappears, ドラマ／コメディー｜21分｜主演：桃井かおり ５５歳の独身OL節子が突然始めた英会話教室、そこには『ルーシー』というもう一人の自分が待ってい, director Atsuko Hirayanagi's "Oh Lucy! ", DOLLS NOW NOW in Cannes Film Festival 2014, Drame / Comédie | 21 min | Starring Momoi Kaori, has just been invited to 2014 Cannes International Film Festival (Cinéfondation Selection) and won the 1st prize Wasserman Award at Tisch Asia’s First Run Film Festival 2014., including Clermont-Ferrand and Tokyo Short Shorts Film Festival & Asia, is given a blonde wig and a new identity, Japan. She is a recent graduate of NYU Tisch School of The Arts, Japanese Academy Award Winner Momoi Kaori, Japanese short film, Momoi Kaori, Oh Lucy The Movie, Setsuko, Setsuko must come to terms with what remains – herself., The Hollywood Reporter's lineup of shorts officially screening in this year's Cannes Film Festival, where her MFA 2nd year project, where she received the Cathay Scholarship from Singapore’s Cathay Organization. Her short films have played at numerous film festivals, won the Grand Prix as well as the Japan Competition Best Short (Governor of Tokyo Award) and the Audience awards. Her thesis short. Bookmark the permalink.